Welcome to my blog. I used to have a blog under the same address as the current one which was deleted due to some personal reason. After 3 years, i recreated using the same address and actively online until now recently this year. Although my blog is open to public view doesn't mean you can steal any contents here. 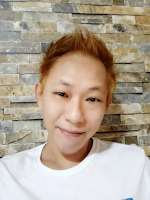 (Please go through the Declaimer before you explore my blog) The purpose of having back my blog is because i need a space to shout things out, share something interesting and it's also a place to connect with the people around me. For those who are secretly spying on me, i don't give a damn who you are. Anything contents you don't like about in my blog, just get lost. This is my territory, i have the Rights.